Free Shipping Handling USA. The package will be shipped directly from USA tracking number, and it will take about 5-15 business days. Portable Toilet With 5Gallon /20L Holding Tank, Which Is Of Comfort, Convenience And Environmental Protection. 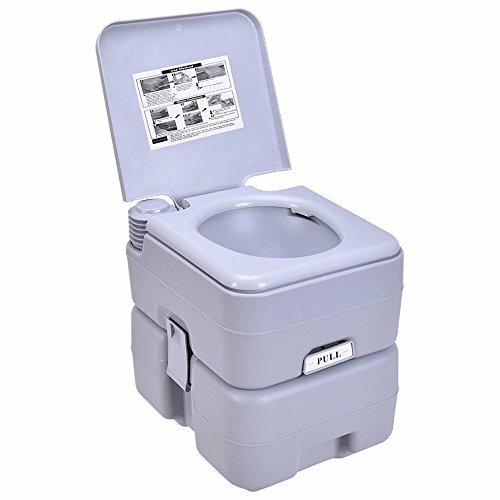 This High-Quality Toilet Offers Powerful Flushing With Less Pumping As Well As Splash-Free Operation And Discharge. What's More, It Is Easy To Use Push-Button Operation. This Portable Toilet Is A Great Unit For Anyone Who Despises Using Public Port-O-Potties Or Camps Where There's No Public Facility. If you have any questions about this product by TKT-11, contact us by completing and submitting the form below. If you are looking for a specif part number, please include it with your message.